(Two Sold) Now 1 For Sale. Wonderful completely original...Early 20th Century Painted Tin Grocers Signs. Three available. 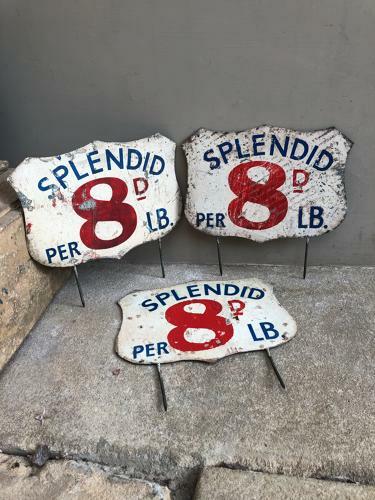 All "SPLENDID 8D PER LB"